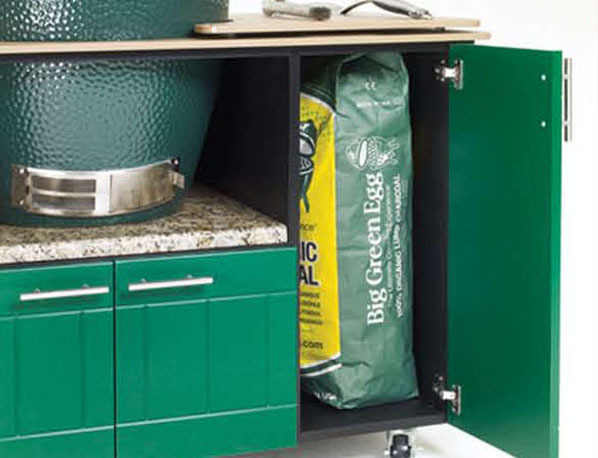 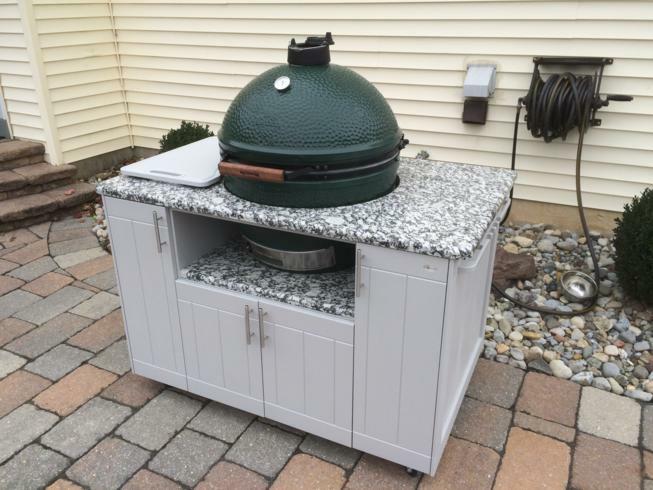 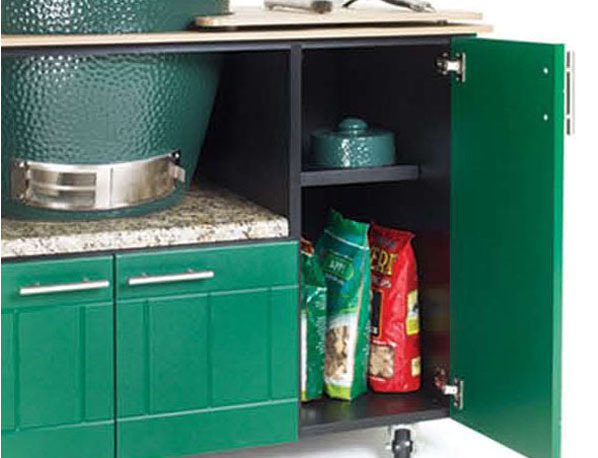 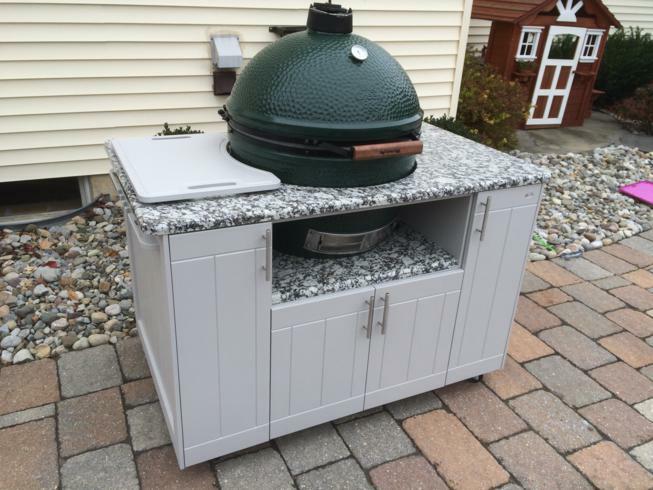 Our largest Grill Caddy that offers the largest storage capacity available and is specifically designed to house an XL Big Green Egg. 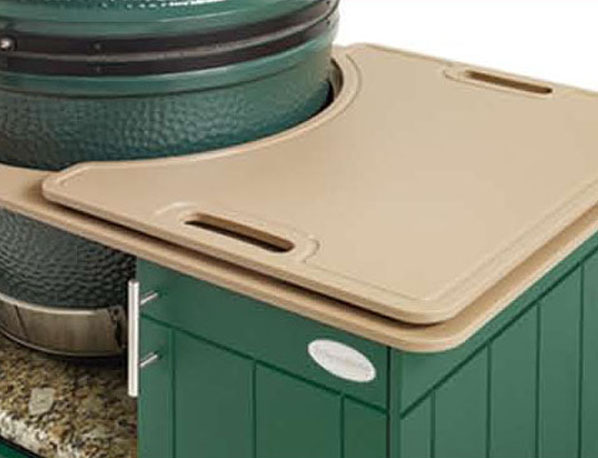 Available in 10 stylish colors to match your outdoor décor. 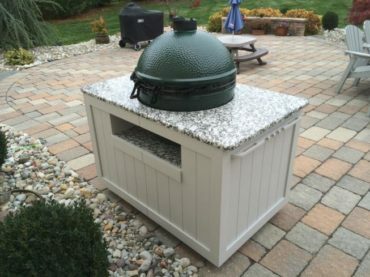 Your Kamado Grill will rest on a solid 3CM granite base that is included. 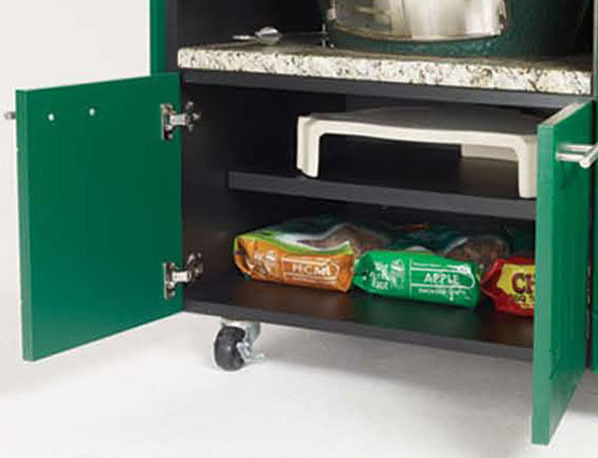 HDPE Worksurface that comes standard. 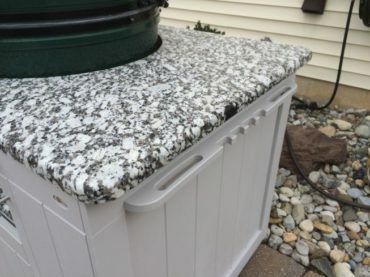 Optional Granite Worksurface available (Pick-up Only). 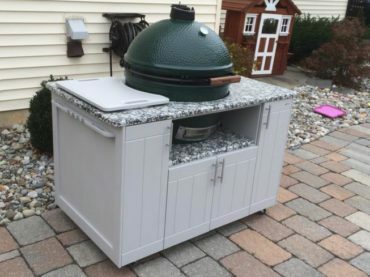 Ships Flat Packed (Assembly is required). 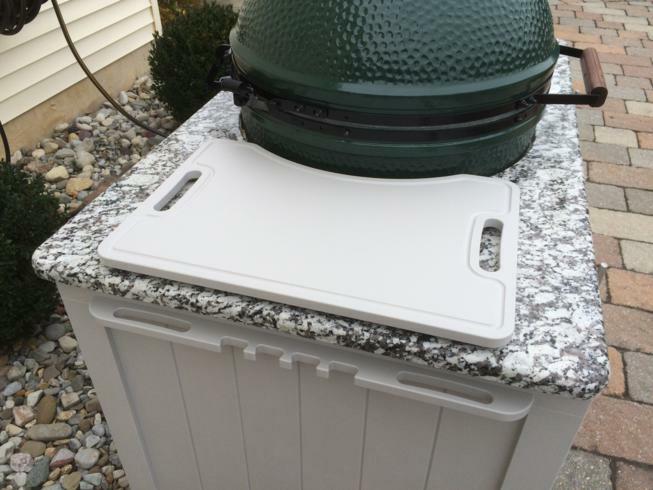 This will help you to determined if you need a large or small kamado grill caddy.